How to Crack Miracle Box v2.27A? Turn Off Antivirus/Defender Preotection Before Extract the Tool. Extract the "Miracle Box v2.27A" Compressed File. Run "Miracle Box 2.27A Loader" File. This Tool Already Cracked & Fix Start Button Hidden Problem. What's New Updates In Miracle Box v2.27A (Biggest Update In the GSM Industry). Samsung Qualcomm Unlock.more Then 400+ Model Supported. Lg Add Lg-Reset User Lock (No Root Required).support Pin / Password / Pattern / Google Account / Knock Code Unlock. Lg Add Unlock Network.more Then 450+ Model Added. Lg Add Repair Imei.450+ Model Added. 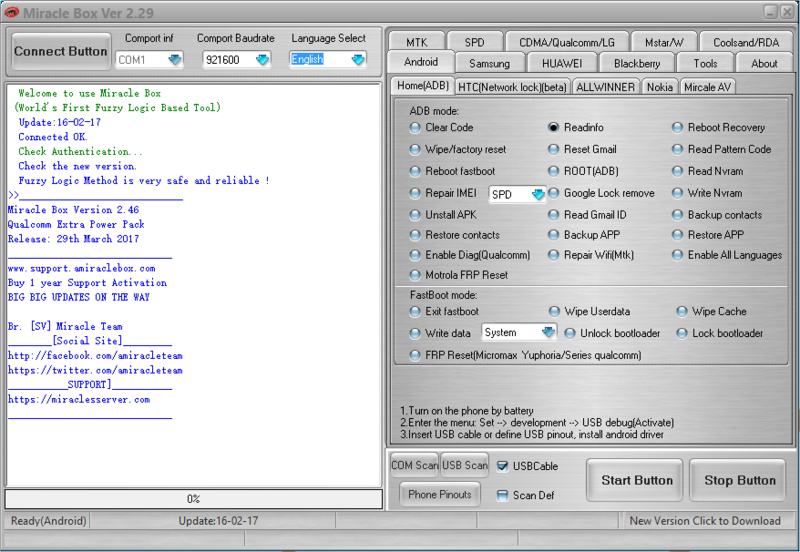 Mtk Add Analysis Scatter File (EMMC) (Open *.Txt).advance Function for Advance User. MTK Improve Clear Setting / FRP.thousands of MTK Mobile Can Remove FRP. MTK Improve Miracle AV (Antivirus). 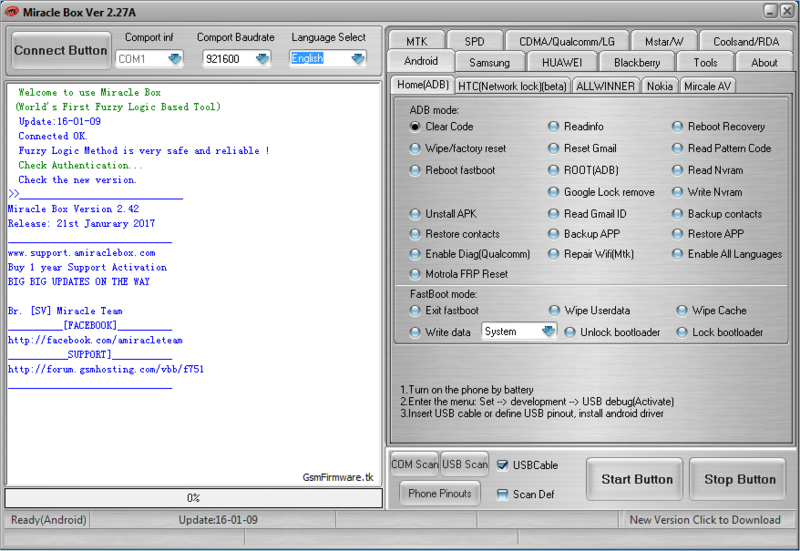 CDMA Add Lava-C180 Sp-Unlock New Flash ID Support. CDMA Add Lava-Cg142j Sp-Unlock New HW-Ver Support. SPD Improve Andriod Write.new Flash ID Supported. Thousands Mobile Test by Team for Giving You Better Service. What's New Updates In Miracle Box V2.29 Without Box [Latest Crack 2017]. MTK Add Ram Test(65xx/67xx)add Battery Level Test.add Address Bus Test.add Data Bus Test.add Pattern Test.add Incdec Test. MTK Improve Read Flash ID Info.all Android MTK Cpu Flash ID Info (With More Details). MTK Improve Remove Virus Add Virus DB.more Improvements More DB (Data Base) Added. CDMA Add Panasonic-Gd25c Write Support.unlock with Flach File.emergency Flash Supported. CDMA Add Emergency Mode Write Support.no Need Worry If Set Dead Use Emergency Flasher.CDMA Improve Write Flash Support. Link 100% Working Read How to Download Instructions from this Link! Go to this directory "C:\Program Files\Miracle Box\BOX_Data"
Close and run the tool again as administrator. Link Not Dead, 100% Working OKay.! Check Again Please "Dope Tech". Disable Antivirus, Defender & Other Virus Protection Programs. Extract Miracle Box rar file. Run As Administrator Miracle Box 2.27A Loader.exe File "Dokterhp". Right-click on it and click on edit. Paste in "Handle" file and save the file. Start button problem 100% fix done.enjoy! thank you for this wonderful app. great for power users to fix their phone. Uninstall Completely Previous Version, and try again. Install USB Drivers First and second check your BOOT DUMP. 2.29 working bro.... Thanks a lot.... But If u make a video tutorial than it will be great.